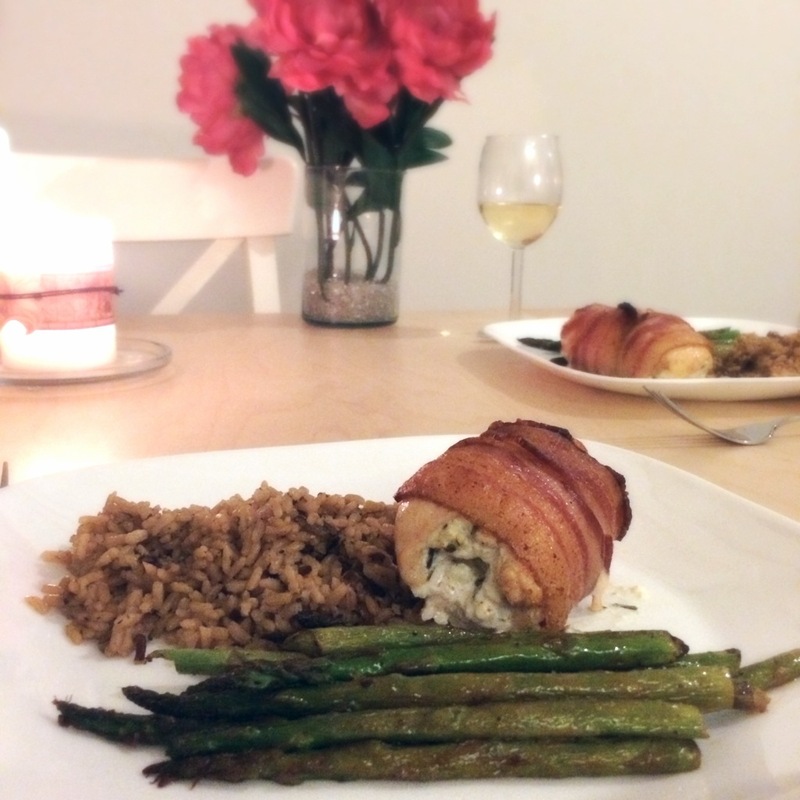 They say the way to a man’s heart is through his stomach, and this recipe is a perfect testament to that…. I’m excited to share this recipe because, though easy to make, it’s a huge crowd-pleaser! 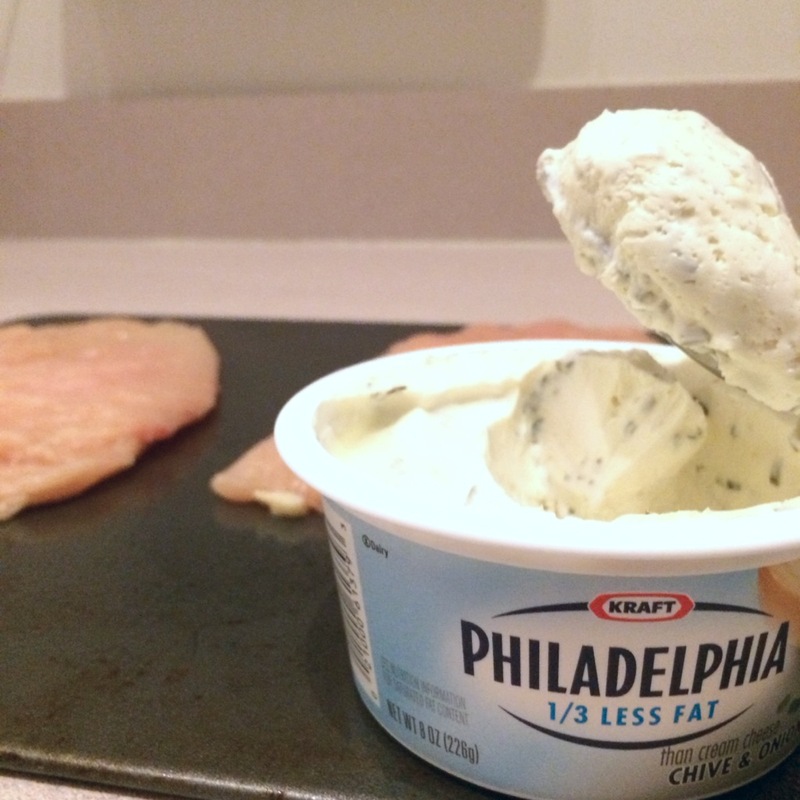 It’s pretty much the same effort to make 1 serving as it is to make 4-6.
spread the cream cheese over one side of chicken breast. 3. 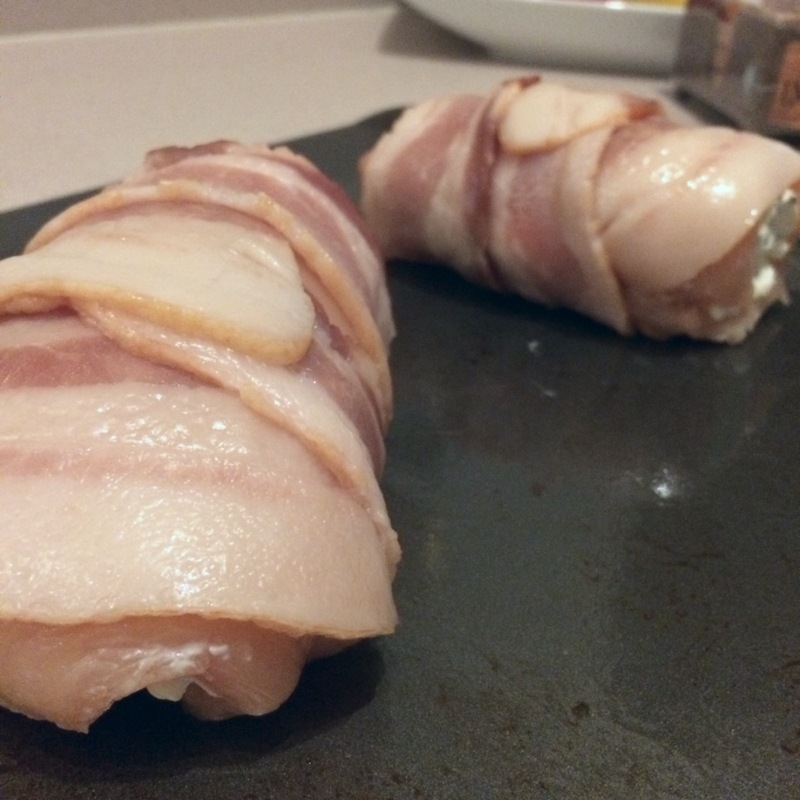 Roll chicken breast up to conceal cream cheese mixture. 4. Microwave bacon on a paper towel for 20-45 seconds. 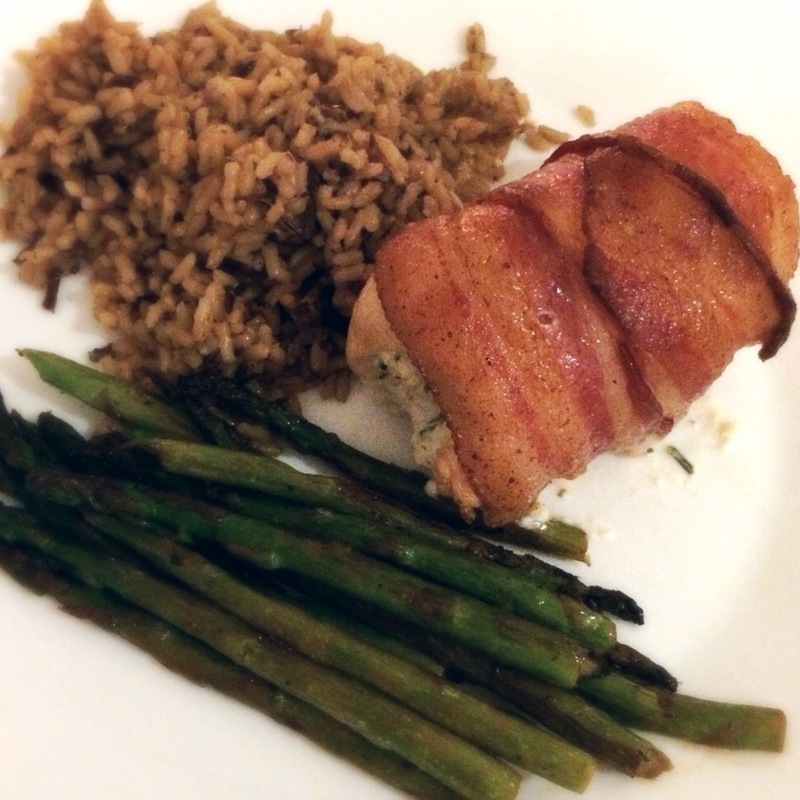 Wrap partially cooked bacon slices around chicken breast and secure with a damp toothpick. 5. Place on a baking sheet (use one with a lip) and bake 30 minutes 375 F.
6. Turn oven up to BROIL for 5-10 minutes to crisp up bacon.